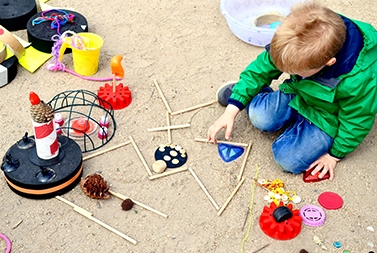 Come and play in the ArtPlay Backyard, with all sorts of materials on hand for you to create your artwork. There’s a different theme each time, so you could draw in the dirt, build sculptures with recycled and natural materials or muck about with water, or wrap up some rope or ribbon and dream up your own mini landscape. Anything is possible! Note: This event may be cancelled in extreme weather conditions. Please call ArtPlay for latest updates. Please note: groups cannot be accommodated. Each child must be accompanied by an adult. If you are bringing more than one child, extra adults need to attend.